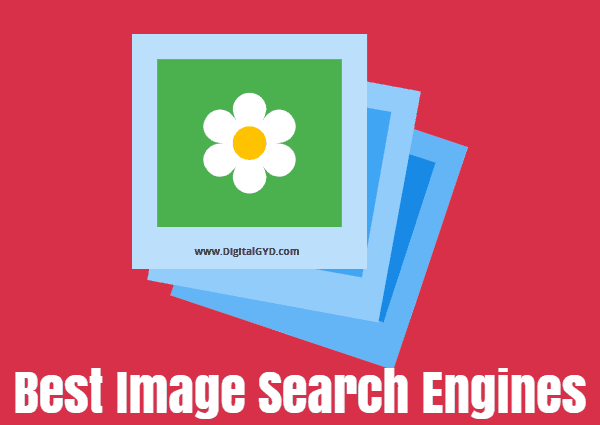 Looking for the best image search engines? In this article, you’ll discover 10 best free image search engines that will help you with better photo search and even search for images with images (using reverse image search engines). Whether you’re a blogger, product researcher or simply anyone who wants to search either for specific images using reverse search or wants to search for royalty free stock photos to use as wallpapers or in your projects, we’ve got your back covered. There are a lot of best search engines to search anything you want. But, to search the internet for images, you need specific image search engines. On the basis of pictures you want to search like gifs, or search for products via images or may that be searching for your own images to check it’s illegal use, you need image search engines that are good at just that. Generally images or picture search engines are divided into 3 broad categories based on what you aim with your search for images online. Why is the “view image” button not visible in my Google Images? How To Get The “View Image” Button Back To My Google Image Search? Can you Google search an image? General image search engines are the most basic search engines (we’ll discuss examples in a minute)to quickly find the images we are looking for. Often, people use these type of search engines to casually search for an image to check something or share a quote on social media sites for casual needs. Let’s now see what are the best general image search engines! Google is not only the best search engine to find information, it’s also the largest and the biggerst image search engine online. Given the market share of Google, it has a huge database of images may that be searching for your favorite actor’s image online or a picture of a place you want to visit, Google’s got you covered. MUST READ ➜ How I went from ZERO to $6324 per month writing blogs. Google’s image search wing is also one of the best designed image search website with added many added functionalities to power up your image search. Better UI: Google’s image search engine has larger image thumbnails and infinite scroll that displays up to 1000 image search results for quicker access. Related image searches: When you search for an image using Google image search, it displays a full arena of images that match your keyword. It also shows you related tags on the top of the screen to filter and dig deeper into your image search and find the perfect image you’re looking for online.Furthermore, when you click on any image it opens up a larger view of the thumbnail for better view along with similar images based on their algorithm.This is the best when you’re researching into something or simply looking for the best version of the thing you’re searching online. Ability to favorite/save images: If you liked an image while searching on Google for your desired photos, you can save it for future reference. Safe Image Search: While finding your ideal image match on Google, you might tend to come across images that might be offensive or not suitable for viewing. But with Google’s safe search option (at the top-right of the page) you can filter explicit results turning it into a much safer image search engine for minors or children too. Other features include Google’s advanced image search and option to share an image directly from the search result. Google, recently removed the “view image” button (as a result of complaints from creative users on copyright issues and even Getty images filed a complaint). You now will have to visit the website where the images are hosted to download them instead of being able to directly download them from Google’s image search engine itself. This new change shouldn’t necessarily cause any issue with downloading images from Google. Instead, by visiting the websites where the images are hosted, you’ll get a better idea of the context of how the images are used and how you can use it in your project legally. But for those of you wondering how to search a picture in google and download it right away, there are ways to bring back the “view image” button to Google’s image search results. To get the view image back in your Google image search results, you just need to install the “view image” extension for chrome or this extension if you’re a Firefox user. When done, you can instantly bring back the “view image” button in your Google image search results. Google image’s advanced search option is a more advanced image search tool by Google which let’s you find out images with much more specific details like size, color or even file type and usage rights. For most the default image search by Google will suffice but for the more advanced users you can further use Google’s advanced image search option to find even better images that match our criteria. How to use Googles’s advanced image search option? To use Google’s advanced image search option click on the “settings ” option below the search query box. This will take you to the Google’s advanced image search page where you’ll find many options and filters to further narrow down your image search operation. 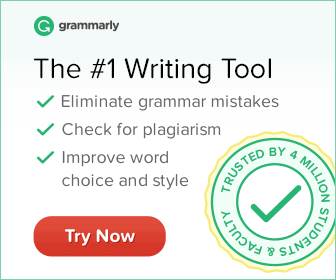 Words: Filter images containing a certain word, only a specific word, one of a group of keywords or remove images containing a particular word. Size of image: You can search for images with a particular size or icons. Aspect ratio: Good for situations when you only want images with a specific aspect ratio like panoramic image. Colors: Choose if you want your output images to be of a specific color, or black and white, or not contain a specific color. Image type: This is another important feature of Google’s advanced image search. You can use it to find images of a particular type like line drawing, clip art, animated images etc. Region: Images from a specific location or country. Site or domain: Images from a specific website. File type: Very handy feature to search for images of a particular file type like Gif images, PNG images, WEBP or ICO file types to name a few. Usage rights: If you are wondering how to find free images on Google, you can use this usage right option to filter out free images. You can also use this option if want to search for images based on their usage rights like free to use or free to use for commercial purpose etc, Google’s advanced image search helps you with that too! After selecting your preferred filters for the image you want, click on the advanced search button on the bottom. It will take you back to the Google images output screen but will display only the image search results that qualify your set filters for the query. A common misconception about Pinterest is that it is a social network whereas it is one of the biggest visual search engines with a ton of images regarding every niche or need of users. Pinterest’s image search engine catches the intent of the users and shows them what they exactly want to see. For example, a search for garage organizer returns some products and then a dumb a links pointing to various sites with information about garage organizer as products. But when you do the same search on Pinterest, it shows exactly what you want! Images of organized garages, also organizer equipment and sites that talk about the how-to tutorials of the same. What’s even more interesting is that, even Google knows this fact that when it comes to visual or search for imagery Pinterest is what satisfies the users’ intent. That is why, you’ll often find one (or sometimes even two or more) link to Pinterest based on your query’s visual intent. 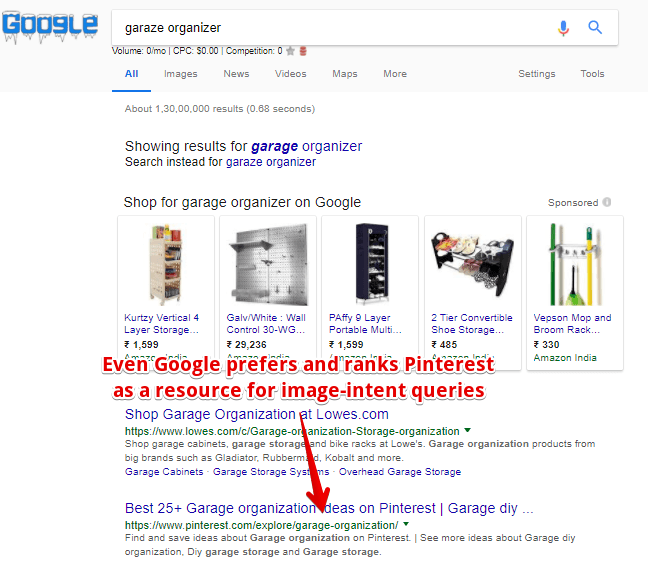 Here’s one below where you see Pinterest’s link when I searched for garage organizer (obviously has a visual intent). Pinterest visual search tool vastly (but is not limited to) focuses with home and daily life image requirements may that be a quote image, a trending apparel or be it recipes or home decor. Google has all these features but Pinterest is what has caught the market share in terms of usability and popularity of users. Another important feature of Pinterest image search that makes it the best visual search engine for finding product images is, Pinterest lens. Pinterest recently reported a whopping 600 million searches every month enabling people to search for information online based on product images they take offline. Google goggles started long ago as Google’s foray into visual search engine market but is still not that efficient than Pinterest lens. Pinterest lens simply takes product search by image to the next level. With Pinterest lens, you can snap or take an image of anything like grocery items, a dress, shoes, or even nails and then find relevant information on those images online. The top categories for lens searches has been recently revealed by Pinterest where they say people use lens to view images in the fashion, home decor, art, products etc. Pinterest’s lens feature is constantly evolving (every night to be precise) to add new information and related products to things you see and search on it with the aim of providing better search results to your queries. Bing is not only Google’s competitor in web search, but also one of the top contenders when it comes to finding the best images online. Bing’s image search engine is the second biggest image search engine after Google’s and can give you a wide variety of image results for your desired queries. Bing makes it easy to find and download a wide variety images including trending images of all time. Another feature of Bing’s photo search is, it creates a AI-powered photo feed (called Bing’s image feed) for you by learning your interactions with images on the platform. I personally like Google’s image search engine but Bing’s image engine has better aesthetics and if you are to go by this article by this article Bing’s image search engine actually is better than Google’s image search engine. Both Google and Bing’s search engines are useful to find general, commercial and free to use images. However, if you’re looking for an image search engine to download or watch sexually explicit (adult content) images you might want to turn on the safe search. Yahoo’s image search engine has a truly sleek interface with every option that Google’s advanced image search provides directly on the image search result page. If you’re wanting to find images online, Yahoo image search is a great option to try. You can directly filter the results using the color, size and file type option. Yahoo’s photo search engine does provide additional features when you click on Yahoo images’s advance search option that further let’s you narrow down your image search results to filter and find images based on their usage rights and toggling the safe search on or off. One thing I did not like (or you can say disadvantage of Yahoo image search) is it doesn’t how you related images based on the selected thumbnail. This feature is present on both Google’s and Bing’s picture search engine and comes very handy to find out similar images with little variations. In this category of photo search engines, you’ll find image search websites or databases that have huge collection of images. If you’re looking for sites to search for pictures that are free to use (whether personal or commercial use, as is or with modification rights) this is the best category of sites to check out. All the sites in this section help you with royalty free image search for both personal and commercial use. Let’s see some of the best free image search sites now. Picsearch: Picsearch is one of the biggest free image search engines with a inventory of over 3 billion royalty-free images to download and use on your projects. Picsearch has a wide array of stock images may that be lifestyle images, or animations or photos of every aspect of life. Flickr: Flickr is one of the largest free image search site with free stock images for almost every niche you are in. Flickr is a bit strict with usage rights so you’ll have to be a bit careful when giving credits to the images. Unsplash: Unplash is a very popular and quite big site to search and download beautiful, high-resolution images that are free to use. Backed by a community of generous photographers, Unsplash has awesome high resolution images that would be best for someone looking for free high-resolution image sites for website backgrounds or any other use, offline or online.I personally use unsplash for all my stock image necessities as this is undoubtedly the best free stock photo website for high resolution images. 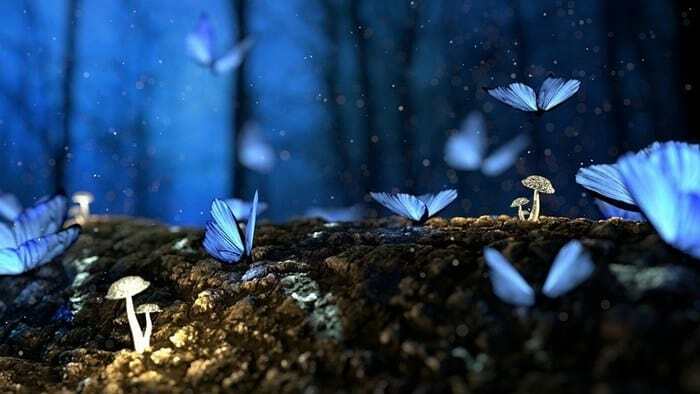 Pixabay: Pixabay is another free stock image site to download free to use images, photos and wallpapers from a wide variety of free stock photos sites, all in one place. Getty images: Getty images is also one of the best free image sites to download images from every category you can imagine. Classroom Clipart: Best free clip art search engine or site to download cliparts, illustration and pictures for use. Creative Commons (CC) search: One great free to use image site that helps you filter images based on their usage rights. The site clearly mentions that it is not an image search engine but a collection or hub that showcases images (based on usage rights you specify) from other search engines like Google Images, Open Clip Art Library, Flickr to name a few. Other free image search sites worth a mention are NASA Images & Video Gallery (collection of free to use space and other images and videos and even audio recordings), NYPL Digital Gallery (The New York’s Public Library offers a collection of free digital images, historical maps, manuscripts, vintage posters and rare photos to download), University of Colorado Garst Photographic Collection (featuring over 20,000 amazing wildlife images by Garsts when filming for Omaha’s Wild Kingdom television series), Giphy (to search Gif images online). These image search sites are niche sites covering specific image types but are very useful when you are looking for those specific type of free stock images. Reverse photo search engines come quite handy when you already have an image or an object or anything (say, a images of catfish) and want to quickly search for similar images or information. With reverse search engines, you can find a photo anywhere on the internet. Reverse image search engines are the ones that help you search images by uploading images online. Unlike other general search engines, you don’t enter text or keywords to search for images with these. Instead in reverse image searches, you either upload any image or the URL of an image to find out similar images online. Reverse image search process is very useful when you don’t have words to describe way you’re looking for or you want to find similar images quickly without much hassle. Yes, you can! Using Google’s reverse image search engine you can search for an image using an image. Google gives you many options to google search an image one being by directly uploading the image from your device and the other being by entering the URL of an image from any site. Below, are some other interesting methods to search an image with an image on Google and other search engines. TinEye is the first reverse image search engine in the world. It is a product of Idee Inc. which is a Toronto based company. TinEye was established in 2008 and is also ahead of Google’s reverse image search engine. As per the official site of TinEye, they claim that they are the first website who uses image identification technology. Usage of this service is pretty simple and straightforward. You just need to upload an image or add a link of your image and then press enter. The search engine will then find the similar images that match your image and show you. TinEye reverse image search supports JPEG, PNG and GIF images. The upload size of the image is 20 MB on TinEye. When it comes to pricing, TinEye has two versions. In free versions, you can perform 150 searches a week and if you want more searches you can go for the premium version that starts at just $200/year. Google is another leading search engine in reverse image search in the world. After 3 years of TinEye, Google has also started reverse image search in the year of 2011. Unlike TinEye, Google image search doesn’t have any size limit for images. Hence, you can upload any big image and try to find out information about that image. As we know that Google has the largest database for images, Google reverse image search engine can be your best choice for reverse image search too. The search mechanism is simple and easy for anyone. All you need to do is just upload an image or add the link of the image which you want to search for and Google’s reverse image search bring all the information you want. Different size variations of the image you’ve searched for. How To Upload An Image On Google image search? Use the following extension for Firefox to directly upload an image on Google image search for reverse image searching. How To Reverse Google Image Search? If you’re on chrome (on PC or Mac), visit images.Google.com or click on the small camera icon on the far-right side of the address bar on Google’s homepage. Upload your desired image from the computer and Google will display you related or size variations of the image. Alternatively, you can also right-click on any image you find on the web and choose the “search Google for image” option to perform a reverse image search using Google. How To Use Google Reverse Search On Mobile (IOS/Android) To Search For Images? Other notable top reverse photo search engines are Bing’s Image Match tool that let’s you search for images, photos, illustrations, pictures, wallpapers, you name it. Bing’s image match is another amongst the best image reverse tools you should have in your arsenal. Bing came up with its reverse image search in 2014. Bing reverse search engine works like many other search engine and all you need to do is upload an image or add a link of an image and Bing will fetch all the information you may look for. It is also found that search results of Bing image match is not as good as TinEye or Google’s reverse image search but you can still give a try to Bing image match and see if those results work for you. Bing has developed its IOS app and they have also included reverse image search in IOS app but the only limitation of this app is it is not available in many countries. We all go through image searches everyday. These can be for your blog featured images, images for web design, school or academic projects or simply for use of wallpapers. I hope this extensive list of top best image search engines helps you to search and download the perfect image you’re looking online. However, while searching free images online to download and use personally or commercially you need to check the usage rights. Most site make it clear as to how you can use their images, so you should always double check these things to prevent copyright lawsuits and be on the safer side. If you want to search for a product by just uploading a picture or simply want to know where else is your own image used on the web, use the list of reverse search engines online to get the information easily. What’s your favorite go to image search engine? How often do you use the advanced image search functionality of Google or Bing? Tell us your experience with reverse image tools in the comments below! Great list of search engines to find images but I would still prefer to manually search on sites like UnSplash. It gives me a confirmation that image is stock free and I’m free to use it. I’ve heard of too many stories about people facing issues after using someone else’s images, so don’t want to take any chances. But thanks for the share.